LIVINGSTON, Robert, first lord of the manor, was born at Ancrum, Roxburghshire, Scotland, Dec. 13, 1654; son of Dr. John Livingston (1608-1672), a Presbyterian minister, who was banished from Scotland in 1663, on account of his nonconformist views, and went to Holland soon after the restoration of Charles II. Robert accompanied his father in his flight to Rotterdam, and immigrated to America in 1673, and after spending part of a year in Charlestown, Massachusetts Bay colony, removed to Albany, N.Y., Where he was secretary of the commissaries who superintended the affairs of Albany, Schenectady, and the parts adjacent, 1675-86. He was married in 1683 to Alida, daughter of Philip Pietersen Schuyler, and widow of Nicholas Van Rensselaer. In 1686 he received from Governor Thomas Dougan a grant of land comprising large parts of what was subsequently set off as Dutchess county, and the grant was confirmed by royal charter from George I., who erected the manor and lordship of Livingston. Robert Livingston was appointed to proceed to New York with his brother-in-law, Peter Schuyler, to obtain a charter for the manor from Governor Dougan, under which charter he was town clerk, 1686-1721. In 1689 he attached himself to the anti-Leisler faction. He was secretary of the convention held at Albany, Oct. 25, 1689, which, while it acknowledged the sovereignty of William and Mary, opposed Leisler's proceedings. When Richard Petty, sheriff of Albany, reported to Leisler that Livingston favored the Prince of Orange, Leisler ordered Livingston's arrest, and the latter retired to one of the neighboring provinces until the arrival of Sloughter, in March, 1691. In 1694 he made a voyage to England, was shipwrecked on the coast of Portugal, and obliged to travel through Spain and France by land. He returned to New York in 1696, accompanied by his nephew, Robert Livingston. While in England he was appointed by royal commission, dated Jan. 27, 1695-96, commissioner of excise, receiver of quit rents, town clerk, clerk of the peace, clerk of the common pleas for the city and county of Albany, and secretary for the government of the Indians in New York. He obtained for Robert Kidd a commission to rid the American seas of buccaneers; but Kidd himself turned pirate and the expedition failed. In September, 1696, the charge of alienation was preferred against him by the council, but through the influence of Lord Bellomont, who arrived in April, 1698, to take charge of the government, he was appointed one of the council, September, 1698, and in the autumn of 1700, was reinstated in all his offices. He was accused by the Leislerian commission of appropriating the public money for his own use, and of employing improper influences to induce the Indians to favor his going to England on behalf of their interests at the court. He refused to exonerate himself of the charge by oath and on April 27, 1701, his estates were confiscated and he was suspended from the council board. Through the intercession of Lord Cornbury he was vindicated. On Feb. 2, 1703, he regained his estates, and in September, 1705, he was reinstated in his former offices. He was elected a member of the assembly from Albany in 1711, and from his manor, 1716-25, serving as speaker 1718-25, when he retired on account of ill-health. He died in Albany, N.Y., April 20, 1725. ROBERT LIVINGSTON, first "Lord of the Manor" of Livingston in the State of New York (ancestor of 753, 754, 755, 756), was one of seven children of the Rev. John Livingston, a lineal descend-and of the fifth Lord Livingston, ancestor of the earls of Linlithgow and Callendar (see Burke's Extinct Peerages, in loco), an energetic preacher of the Reformed church in Scotland, who was banished for his nonconformity, and took refuge in Rotterdam, where he died, 1672. Of his seven children, Robert Livingston (born in 1654) came to New York about 1675, and in 1686 received from Gov. Dongan a large tract of land, which was in 1715 confirmed by royal charter of King George I, creating the manor and lordship of Livingston. This tract embraced large portions of what are now Dutchess and Columbia counties in the State of New York. A portion of it is still held by the Livingston family, and is known as Livingston Manor. Robert Livingston married Alida, widow of Domine Nicolas Van Rensselaer, daughter of Colonel Philip Pieterse Schuyler of Albany, and had three sons, Philip, Robert and Gilbert, who are the ancestors of the Livingstons of America. Although never elected to local office, Robert Livingston was the most important person to live in colonial Albany. Born in Scotland in 1654, the fourteenth child of John Livingston and Janet Fleming, he followed his father, a refugee Calvinist minister, to the Netherlands in 1663. Considerably younger and not close to his siblings, young Robert grew up in Rotterdam learning the intricacies of business and trade and becoming fluent in both English and Dutch. By 1670, he was keeping his own Dutch-language account book. Following the death of his father, in 1673 Robert Livingston returned to Scotland and then sailed for Boston to find his fortune in America. Livingston's father was well-known in Puritan Boston where a merchant advanced the young son enough stock and credit to undertake a trading venture to Albany. Over the winter of 1674-75, Robert Livingston set up a store in the house of Gabriel Thomson and then purchased an Albany houselot the following Spring. Livingston's business and muti-lingual capabilities placed him in great demand in the upper Hudson region. In August 1675, he became secretary of Rensselaerswyck; in September, clerk or secretary of the town of Albany; collector of the excise (tax); and then, secretary of the Albany Indian Commissioners. Coupled with personal trading and a partnership with New Englander Timothy Cooper, these offices should have provided him with substantial income. However, this newcomer experienced financial difficulty and frequently needed the intercession of Governor Edmund Andros to collect his fees. That connection to the English in New York - although of great value to Livingston personally, prevented him from gaining acceptance in still-Dutch Albany. Local shunning and dunning abated considerably following his marriage in 1679 to Alida Schuyler, sister of future mayor Pieter Schuyler and the recent widow of Nicholas Van Rensselaer - formerly Livingston's Rensselaerswyck employer. Their marriage lasted almost fifty years and was a classic early American partnership. Mother of his nine children and the daughter and heir of two the most substantial fortunes in the region, Alida also proved an unparalleled business associate. By the early 1680s, Livingston had turned his attention to acquiring land - first on behalf of his widowed wife, and then on his own. Livingston's enthusiasm for pursuing his wife's Van Rensselaer inheritance was applauded by the Schuylers but reviled by the Van Rensselaers. By then, these Livingstons had taken up residence in the Van Rensselaer house across from Alida's family home. From that upper State Street headquarters, Robert Livingston directed his considerable energies to amassing one of the largest fortunes in seventeenth century New York while helping structure development in Albany and in the region. 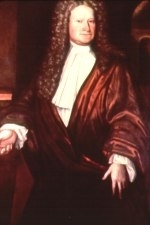 In 1686, he joined with Pieter Schuyler to persuade Governor Thomas Dongan to grant Albany a municipal charter like that awarded to New York City a few months earlier. Livingston was the architect of the so-called Dongan Charter which established Albany as an early American city and ensured that its future would be different from that of the surrounding countryside. Carved out of land within the colony of Rensselaerswyck, the Van Rensselaers had yet another reason to dislike Livingston. In the charter, Robert Livingston was appointed clerk of the city and county of Albany. The clerk registered legal documents and collected a fee for each transaction. That position gave Livingston a hand in many aspects of the development of huge Albany County. He held that office until 1721 when it passed to his son, Philip - an active deputy for many years. That office brought the Livingstons in close contact with its appointing authority - the royal governor. Over the years, Robert Livingston proved of great value to the royal government as an advisor, emmisary, and even financier. In return, he received land patents including one that created Livingston Manor in 1686, frequent and significant contracts, and a long-overdue appointment to the governor's Council in 1698. Those connections to New York and ultimately to London enabled the astute and shrewd Livingston the wealthiest person in the upper Hudson region. But they did little to endear him to his Albany neighbors - who never really trusted the Scot and spoke out against him during his increasingly frequent absences. Although established in Albany where his Albany-born wife was raising their family, Robert Livingston's actual business went beyond the city stockade where trading in Anglo American networks kept him in New York and sent him to other cities and abroad more and more after 1690. In the decade that followed, Livingston was closely involved in enabling the overseas mercantile interests of his oldest son John and son-in-law Samuel Vetch and wanted for a surrogate in Albany until second son Philip came of age in 1707. To fill this void, Robert Livingston had brought over his young nephew in 1687. However, Robert Livingston, Jr. proved more interested in furthering his own ends - particularly following his marriage to the daughter of Pieter Schuyler in 1697. Despite raising their large family without much active paternal support, Alida was quite adept at upholding the crucial Albany end of Livingston's trading empire until Philip was able to take over. By that time, Robert Livingston was most frequently found in his substantial Manhattan townhouse where his trading ships were moored at his own dock. Then he was building his country estate below Albany on bank of the Roelof Jansen Kil. Although he continued to contribute large sums for Albany's defense and other essential projects, by the 1700s Robert Livingston was represented in Albany chiefly by Alida and her children. During the years from 1690 to 1710, Livingston's careers represented major stories in the growth and development of the province of New York. However, little of it had a major Albany context as he was rarely at home on upper State Street. Livingston was first elected to the New York General Assembly in 1709 - but more to represent his manorial interests and the growing downriver part of Albany County than the city of Albany. He was elected speaker of the provincial Assembly and served until retirement in 1726. As "Livingston Manor" became more habitable, Alida and Robert were reunited on the Roeloff Jansen Kil where Alida had come to rescue her deteoriating health. As the Manor filled out, however, its owners suffered as their health was not good. In 1716, Robert Livingston was called back from New York and spent six months at Alida's bedside. Over the next decade, the health of both partners deteoriated as their conditions were of great concern to their grown children. Alida Schuyler Livingston died in 1727. Robert Livingston died at the Manor two months short of his seventy-fourth birthday on October 1, 1728. From a humble start as an Albany clerk, Robert Livingston established one of New York's premier political dynasties. Following their father's blueprint for success, his sons and grandsons took hold of leadership positions in business, government, and the law at the provincial, state, and national levels. Through marriage, his daughters and granddaughters connected the Livingstons to the most important families of New York and beyond. This handsome portrait, probably painted by Nehemiah Partridge about 1718, is now in a private collection. The image reproduced here was printed in Ruth Piwonka, A Portrait of Livingston Manor, 1686-1850 (Friends of Clermont, 1986). The definitive work on Robert "The Founder" is Lawrence H. Leder, Robert Livingston 1654-1728 and the Politics of Colonial New York (Chapel Hill, 1961). The most useable family genealogy is Florence Van Rensselaer's The Livingston Family in America and Its Scottish Origins (New York, 1949). See also, Cynthia A. Kierner, Traders and Gentlefolk:The Livingstons of New York, 1675-1790 (Ithaca, 1992). Also recommended is a major antiquarian history of the family by Edwin B. Livingston entitled The Livingstons of Livingston Manor (New York, 1910). The intent of this biography of early Albany's most significant individual is to tell his story in an Albany context and to leave the larger (beyond Albany) life of Robert Livingston to his many biographers - beginning with those listed above. Livingston's collection of the Albany Indian Records was edited and presented by Lawrence H. Leder as "The Livingston Indian Records, 1666-1723," in a special volume of Pennsylvania History 23:1 (January 1956). Secretary Livingston first signed the minutes in June 1677. A somewhat overstated but still telling account of Alida Livingston as a businesswomen and her plight as a live-alone wife is found in Linda Biemer, "Business Letters of Alida Schuyler Livingston, 1680-1726," New York History 63:2 (April 1982), pp 183-207. Livingston's holdings included two houses in Albany, pasture land outside the north gate, shares of the Saratoga Patent, and a tract of land on the Roelof Jansen Kil that became the basis for the Livingston Manor Patent - first granted in 1686. Alida Schuyler was born in 1656, the third of the ten children of Beverwyck pioneers Philip Pieterse and Margarita Van Slichtenhorst Schuyler. Alida grew up in the Schuyler family home - a center of Albany activity in the years after the English takeover in 1664. As the daughter of Albany's foremost fur trading family, it was not so surprising that nineteen-year-old Alida would be matched with Nicholas Van Rensselaer, the thirty-nine-year-old son of the founder of Rensselaerswyck - thus joining two of the pre-eminent fortures in the region. The couple had no children before Van Rensselaer died in 1678. Less than a year later, Alida married Robert Livingston - a recently arrived Scottish opportunist and former clerk of her deceased husband. That union was for life and produced a large family of nine children who went on to establish the Livingstons and the Schuylers in the first rank of New York society. The couple took up residence in what had been a Van Rensselaer house at the Elm Tree Corner. Encouraged by the Schuylers, Livingston pressed the Van Rensselaers for the balance of Alida's inheritence - making Livingston their sworn enemy and straining the relationship between Alida's family and the patroonship. Robert Livingston's business frequently took him away from Albany and Alida took charge of her husband's extensive Albany operations. For the first two decades of their marriage, the often expecting wife received instructions from New York, Boston, and London where her husband was forging the largest and most active new fortune north of New York City. Her letters to Robert Livingston over a long period of time testify to the scope of her activities, the depth of her business acumen, and also to the stress the separations placed on their relatiionship. With the coming of age of her son, Philip, middle-aged Alida became less active in their Albany business. By the end of the 1700s, both parents had relocated to the Livingston country estate forty miles south of Albany. While Robert Livingston rarely returned to the place that had caused him much anxiety in the past, Alida frequently visited the Schuylers and her grandchildren in Albany. By 1716, Alida was living on Livingston Manor and in poor health. Her weakened condition raised fears for her life and brought her husband from the New York Assembly chamber to her bedside for an extended period of time. Over the next decade, neither partner would be in good health. 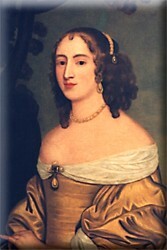 An invalid, Alida died in May of 1727 at the age of seventy-two. That autumn, her body was entombed in the church vault on Livingston Manor. Robert Livingston died a year later and was laid to rest with her in the family vault. The life of Alida Schuyler Livingston is CAP biography number 95. This profile is derived chiefly from community-based resources and from the extensive resources available for the Schuyler and Livingston families. More recently, Alida Livingston has been the subject of considerable scholarship by Linda B. Biemer. Chief among her works is "Business Letters of Alida Schuyler Livingston, 1680-1726," in New York History 63:2 (April 1982), 182-207, which features translations of twenty-two letters to Robert Livingston - providing unparalleled windows on their business and personal relations. Alida is one of the exceptional women profiled in Biemer's Women and Property in Colonial New York: The Transition from Dutch to English Rule, 1643-1727 (Ann Arbor, MI, 1983). Portrait by an unidentified artist possibly of Alida Schuyler at the time of her first marriage in 1675. This information accompanies a black and white likeness reproduced in Ruth Piwonka, A Portrait of Livingston Manor (Clermont, NY, 1986), 102. The "colored" image reproduced here was found unattributed on an ineresting Livingston website. Like many early American portraits, the attribution of it as Alida is highly speculative. As Robert Livingston's nephew, Robert Livingston, Jr., and son-in-law, Samuel Vetch, proved more interested in pursuing their own enterprises, Alida Livingston was called on to manage the daily operations of her husband's diverse business. Robert Livingston, youngest son and fourteenth child of Rev. John and Janet (Fleming) Livingston, was born at Ancrum, Scotland, December 13, 1654, died October 1, 1728 (some authorities say at Boston, Massachusetts), and is buried in the family vault at Livingston Manor, town of Livingston, Columbia county, New York, over which the Livingston Memorial church has been erected in recent years. It is supposed he accompanied his father to Holland as he was familiar with the Dutch language. He was eighteen years of age when his father died and he was left dependent upon his own resources for support. His thoughts naturally turned to the New World which his father had before him made an attempt to reach. He return to Scotland with his mother where he made but a short stay. April 28, 1672, he sailed from Grenock, Scotland, a passenger on the ship Catherine of Charlestown, Captain John Phillips, master, bound for Charlestown, New England. The exact date of his arrival in New England is unknown. He was soon, however, at New York, which was now under English control. Not being suited in New York, he proceeded to Albany, the next largest city in the colony and an important trading point. His knowledge of the Dutch language here was of great advantage to him and he was appointed in February, 1676, secretary of the commissaries who then superintended the affairs of Albany, Schenectady and adjacent territory, which office he held until July, 1686, when Albany being made a city, the board of commissaries was dissolved. He was appointed with his brother-in-law, Peter Schuyler, to proceed to New York to obtain the charter of the city from Governor Dongan, under which he was afterwards made town clerk, to which annexed the additional office of farmer of the excise. He was also secretary for Indian affairs and collector of customs. As early as 1675 he became a lot owner in Albany, owning the lot at the corner of State and North Pearl street, where he lived until his removal to the Manor. On July 18, 1683, he made a purchase of tracts along the east side of the Hudson containing 2,000 acres of land from four Indian chiefs, a purchase which was later confirmed by Governor Thomas Dongan. His purchases were continued and on July 26, 1686, Governor Dongan issued a patent erecting a vast territory of not less than 125,000 acres into a lordship and manor to be recognized as the Lordship and Manor of Livingston, the only requirement being the annual payment to the government of Great Britain of twenty-eight shillings sterling, to be paid at the city of Albany, March 25, of each succeeding year. The land included, commenced about five miles north of the city of Hudson, running twelve miles on the Hudson, extending back to the Massachusetts line, widening as it receded from the river, so as to embrace not less than twenty miles on the boundary of the latter colony. The patent allowed the proprietor the privilege of holding a court seat and court baron with the advowson and right of patronage of the church within the manor. The tenants also had the privilege of assembly together to choose assessors to defray the public charges of cities, counties, and towns within the manor, in the same manner as those within the province. It granted the right of fishing, hawking, hunting, and fowling, the possession of mines, minerals (silver and gold mines excepted), and the right to fish in the Hudson along the boundary of said Manor. In 1715, however, the grant being confirmed by royal authority, the additional privilege of electing a representative to the general assembly of the colony and two constables were conferred upon the tenants. In 1710 more than 5,000 acres were taken to constitute a settlement for the Palatinates, which was callod Germantown. This tract was purchased by the crown for this purpose, for the sum of 200 pounds sterling. The Manor of Clermont, comprising about 13,000 acres was severed from the upper manor by the will of Robert, the first lord of the Manor, and bequeathed to his youngest son, Robert (grandfather of Chancellor Livingston), to reward him for having discovered and frustrated a plot which had been formed by negroes on the estate to murder all the whites. In 1689 the tide of prosperity turned and he became involved in the troubles with Leisler, taking sides as did most of the prominent families against the Dutch governor. His party being beaten, he retired to one of the neighboring provinces probably to avoid the fury of his enemies. He made a trip to England during this period and brought back with him his nephew, Robert Livingston. His fortune ebbed and flowed alternately; in 1702 his estates were confiscated and he was suspended from the council board. But the tide again turned in his favor, and February 2, 1703, he once more obtained possession of his estates and in September, 1705, received from Queen Anne a commission reinstating him in all his former appointments. A mansion was erected on the Manor as early as 1692, but he did not reside there until 1711. In that year he was elected a member of assembly from the city and county of Albany, and in June, 1716, a representative from his Manor. In 1718 he was chosen speaker of house of assembly, which position he retained until 1725, when ill-health compelled his retirement from public life. He was a Livingston. People have no exact idea of what it was in those days to be a Livingston. "He is a Livingston"--"one of the name of Livingston"--conveying to the generality of people's minds something, but they don't exactly understand what. He is one of the Joneses does not mean much; while he is a Van Rensellaer has a distinctive meaning. It means some rich fellow up at Albany, whose father, grandfather, or great grandfather was a Patroon, a man who owns an enormousquantity of land, that he rents out for so much corn a-year. "He is one of the Astors," means much or little, depending very greatly upon the Christian name attached. If it is John Jacob, or William B., it indicates men who individually control many millions. But a "Livingston" in the olden times had entirely a different meaning. They were a good old race. They were exclusively New York. If they had a funeral of one of them at the manor, they had another equally magnificent at the palace at Broad street. They were not ashamed to be merchants. Robert Livingston was the first that came to this country abont 1676. He was the first proprietor of the mansion on the Hudson River. In 1686 he and his brother-in-law procured the celebrated charter of New York City from Governor Dougan. That is a funny charter, dated 22d day of April, 1686. It recites that "Whereas the City of New York is an ancient city of the Colony or Province of New York, of which James the Second is Supreme Lord and Proprietor." It calls it "Said City at Manhattan Island," and gives the privilege of hunting and digging mines (except gold and silver). His Majesty never dreamed of Walter street and the mint in those days, or the Sub Treasury and John J. Cisco. It made Nicholas Bayard mayor, and John West town clerk. Shortly after West was succeeded by Robert Livingston, who soon after had the office of Farmer of the Excise annexed to his clerkship. The quaint old charter also provides that "upon the feast day of St. Michael, the Archangel, yearly, the Lieutenant Governor, for the time being, with the advice of his Council, should nominate and appoint such person as he shall think fit to be mayor of said city, &c."
That day should be kept by all good citizens of the present day, viz., "The Feast Day of St. Michael." It was in July, 1686, that Gov. Dougan issued a patent erecting 150,000 acres of land that Livingston had purchased, on the east side of the Hudson River into a lordship or manor, to be recognized as the "Lordship or Manor of Livingston," for which he was to pay an annual rent of twenty-eight shillings sterling. In 1691 Leisler tried to arrest him, but failed. In 1694 he went to England, but was shipwrecked on the coast of Portugal. He returned in 1696. A mansion was erected on his manor in 1692, but he did not reside there until 1711. He died in 1726. His son Phillip was born in 1686. He was second proprietor of the manor. In 1725 he was a member of the Council, and continued so until he died, in the city of New York, in 1749. His funeral rites were performed both in the City of New York and at the manor of Livingston. All the lower rooms of the house in Broad street were thrown open to receive visitors. A pipe of wine was spiced for the occasion, and to each of the eight bearers, with a pair of gloves, mourning ring, scarf and handkerchief, a monkey spoon was given.